I recently found out about a company called Contrado, a company where you can print your own designs on clothing, fabrics and lifestyle products. 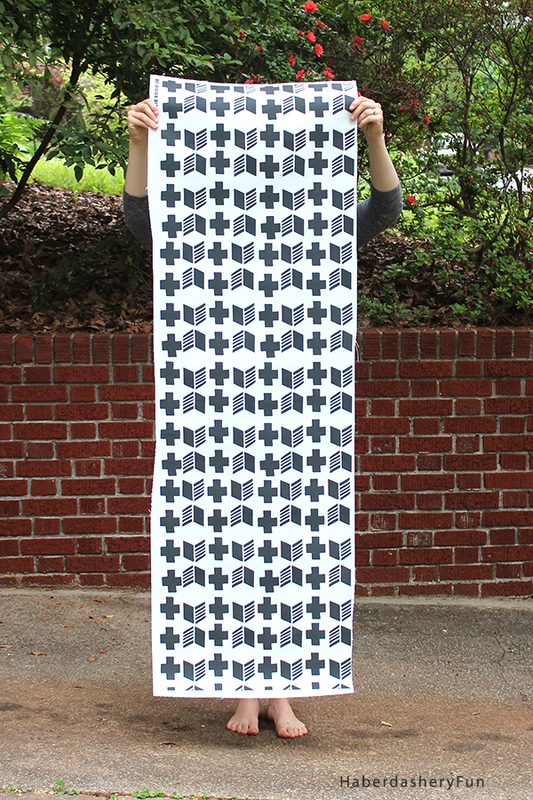 We are heading on a beach vacation in a few weeks and so I thought it would be fun to try my hand at fabric design! 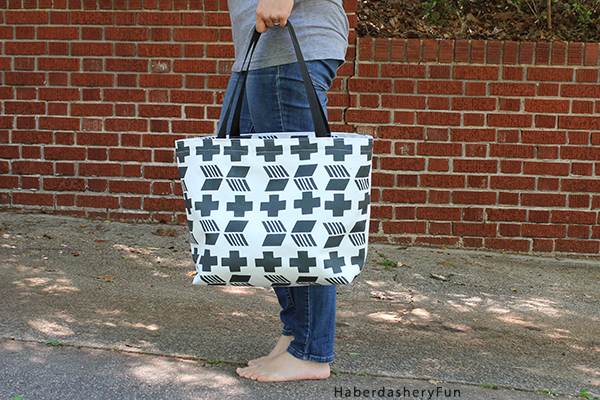 Why not design my own fabric and then sew a graphic beach tote…? I am a bit of a night owl and the last couple of months have been filled with late night block printing sessions. 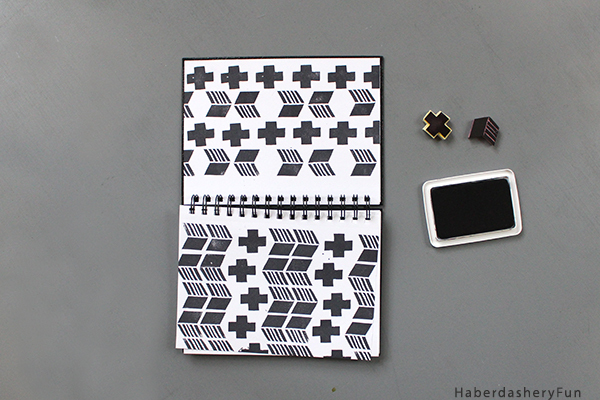 I looked though my notebook for inspiration and found quite a few prints that fit the bill. Making the design was easier than I anticipated. I scanned the print and then played around with it in Adobe photoshop. I cleaned up the image and then changed the layout slightly. Can you see the difference? I kept the hand stamped feel and made sure that the layout wasn’t too perfect. I’m a fabric junkie and Contrado has an immense fabric selection. I was shocked at all the options. I wanted a sturdy beach tote, so I chose a woven canvas and uploaded the design. The Contrado design software was simple to use and after a few steps I was done.. Ta- Da! The fabric was so bold that I decided to make a very simple tote. I used webbing for the straps, lined the tote in black canvas fabric and added an interior pocket. I have a bit of fabric left over and think a pouch would be the prefect companion. I’m hooked on fabric design.. What do you think? Want more HaberdasheryFun? Come on over and follow me on social media – You can find me at Pinterest, Facebook and Instagram. Thanks for stopping by. Love how your design came out!! And you should definitely make a complimentary pouch or wristlet to go with this fantastic tote!